P-47G-15-CU Thunderbolt 42-25254 in yellow and black maintenance instructional airframe scheme at Grand Central Airport, Glendale, California shortly before being acquired by Edward T. Maloney in 1952. 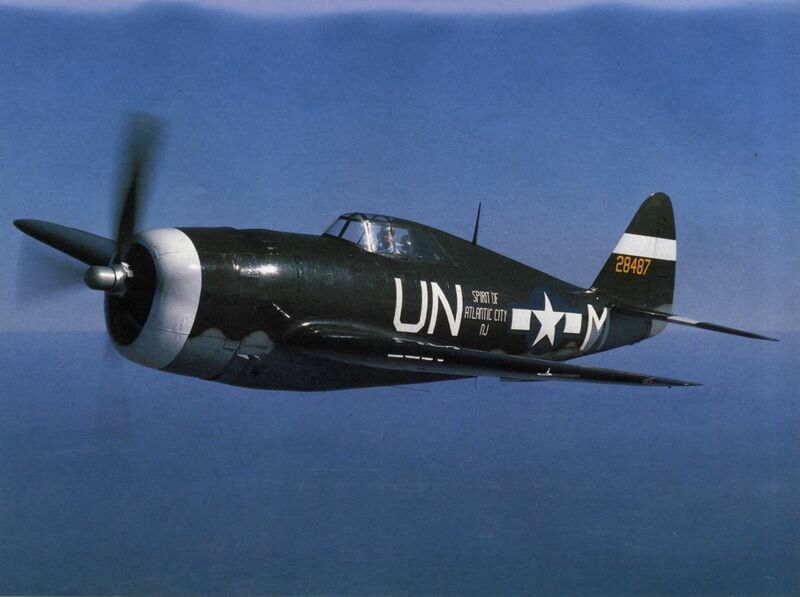 The same aircraft photographed in 1980 during repainting by the Air Museum to represent the 56th Fighter Group P-47 flown by Robert S. Johnson. 42-25254 photographed in 1968 masquerading as 42-26387 Miss Behave.